Making smart home is a growing trend today for our homes. What are smart homes and where do we start when making the first step in making smart home? Smart homes are living spaces that have networked lighting, heating, cooling and security systems, as well as appliances, TVs, and computers that can be controlled remotely, from absolutely anywhere by that meaning any room in the home or any location in the world via smartphone or internet. Why do we want them so much? They offer us comfort, security, and energy efficiency – and the best thing is it doesn’t matter if anyone is home or not. Before you start to update your home be smart about where you put your Wi-Fi router. Why? Because he’s Centre stage running the whole “Smart Show”. That said when installing your Wi-Fi router bear in mind to set it up on the ground floor as close as possible to the center of your home. I say the lighting. It is really a very easy and manageable first step that is not only energy efficient but can be also kind of cool. And it is something that you can do by yourself sort of a DIY project. You start by swapping your normal light bulbs for smart ones. There is a variety of lighting bulbs on the market as well as switches, apps, and wireless control that can turn any light fixture of the socket into a smart lighting solution. The end result is that you set different lighting in all the rooms in your house or apartment. 3. 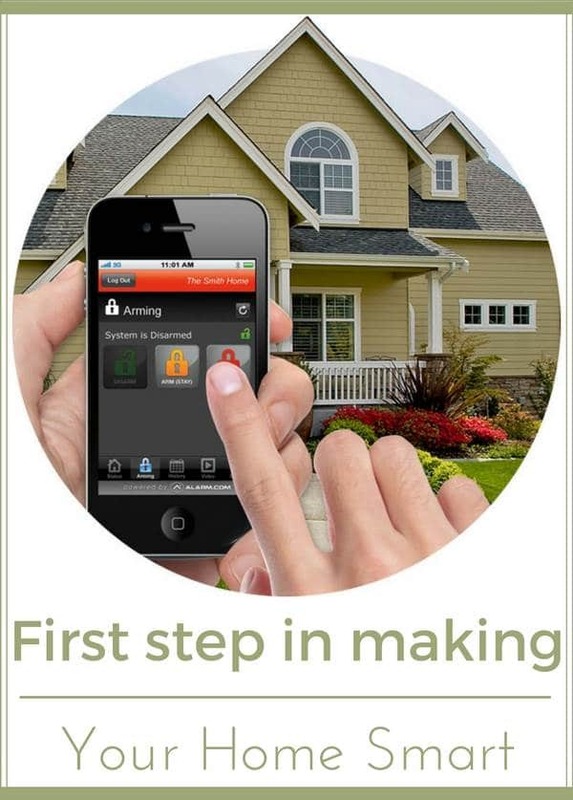 Start using your mobile devices to set timers, receive notifications, and control your lights. Next is the heating system. In order to avoid, after spending the whole day at work, coming home to a freezing cold or bubbling hot apartment, you can install a smart thermostat. They can be set to control the climate in your house or apartment based on your habits, preferences, and schedule. Besides the comfort side, there is also an energy efficiency side to this smart solution because these thermostats can be programmed (or can sense depends on the gadget) not to waste money and energy when no ones at home. So after installing it takes the user manual and star programming. Last but not least is the Security system. First when you think of making smart home its hits you as complicated but it really isn’t that difficult. The majority of home security systems are compatible with all homes and basically, the only thing they need is wireless Internet. That goes for both old and new homes. Basic systems include everything from indoor and outdoor observation to alerts and alarms on your smartphone, plus automated lighting and lock programs for door and windows. Many of the smart security systems can also be fitted and integrated with the already existing smart home technology what enables you complete control over all of your home devices. Hopefully, these few things gave you a slight push and you’ll try and tech your home in a smart way.